Jared Kushner and Ivanka Trump are the self-styled prince and princess of America. Their swift, gilded rise to extraordinary power in Donald Trump’s White House is unprecedented. In Kushner, Inc.: Greed. Ambition. Corruption. The Extra Ordinary Story of Jared Kushner and Ivanka Trump, Vicky Ward investigates and debunks the many myths the couple has created, the most outlandish being that they are the only voices of reason in an otherwise irrational presidency. 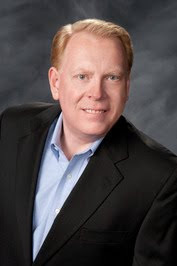 Ward is a New York Times bestselling author who has penned several books that include The Devil's Casino: Friendship, Betrayal, and the High Stakes Games Played Inside Lehman Brothers (2010) and The Liar's Ball: The Extraordinary Saga of How One Building Broke the World's Toughest Tycoons (2014). She is also a contributing editor and investigative reporter for several magazines that include HuffPost, Vanity Fair, and Town & Country. 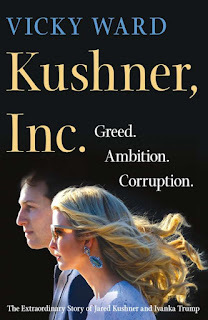 In Kushner, Inc. Ward skillfully unveils a grim and disturbing portrait of entitled offspring, whose greed, inexperience, vanity, and voracious need for power has caused chaos in the world and may even threaten democracy. Ward follows the couple from New Jersey to New York City to the White House, where their many ventures into policy-making and national security have mockingly ridiculed long-standing US policy and practice. Ward contends that the Kushners have methodically and unapologetically pursued an unchecked agenda that has increased their wealth. She holds Jared and Ivanka personally responsible for their actions and discloses their self-serving motivations and how these actions have advanced them into the highest levels of government where no one has been able to stop them. In this meticulously researched book, Ward reveals that Jared and Ivanka are not just the president’s chief enablers: they, like him, also appear indifferent to the rule of law and basic ethics. Clearly written accounts of the Kushner’s political and personal dealings paint a shocking and realistic image of their alleged corruption, inexperience, and possible criminal activity. For those readers who have a pretty good general knowledge of the endless chaos and confusion surrounding the Trumps and Kushners this expose will not be shocking or surprising. Overall, this book definitely stands out head and shoulders above many of the recent books on the Trump family. It is not just a repeat of the reports of events but is well written account of what actually happened. But be warned if you really want to be creeped out and want a sleepless night, enter the unsavory and often seedy world of “Javanka” where ruthlessness, egotism, and pure ignorance run rampant. When a covert American diplomatic compound is attacked in North Africa, the White House is overwhelmed with allegations of incompetence. 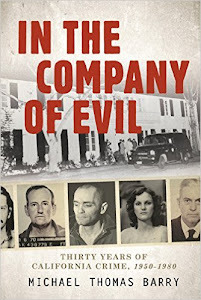 Numerous conspiracy theories begin to circulate and eager to learn the truth, the president and his staff turn to political fixers Peter Rena and his partner, Randi Brooks for answers. As they delve deep into the secretive world of espionage and national security, hoping to do their work surreptitiously, they quickly discover that will be impossible, when everything is leaked to a reporter and a bombshell exposé is published. Caught in the middle of the scandal, they hope to deflect some of the harmful fallout from the president. 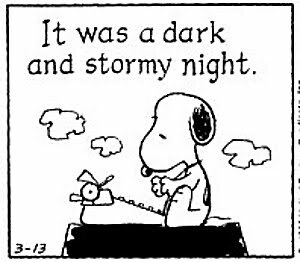 Congressional hearings are opened, the military appears to be in shutdown mode, the press is eager for another big story, and political enemies are plotting their next move. Rena and Brooks learn the hard way that secrets in Washington are hard to keep and often come with a very high price. The second installment in the Peter Rena series, The Good Lie by Tom Rosenstiel provides plenty of intrigue in this electrifying political page-turner. Rosenstiel is the author of numerous books that includes the critically acclaimed series debut, Shining City (2017, Ecco). He is also the executive director of the American Press Institute and a senior fellow at the Brookings Institution. 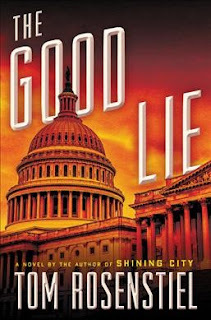 Set in the cut throat, eat or be eaten world of Washington politics, in The Good Lie, Rosenstiel does an excellent job of balancing political intrigue and mystery, while providing poignant observations of the complexities that engulf and often incapacitate its inner circles of power. Our protagonists, Rena and Brooks, bob and weave their way through sticky entanglements and are blocked at every turn. Faced with lies and coverups, they cleverly maneuver through these obstacles, which gives them even more motivation to uncover the truth. In The Good Lie, Rosenstiel provides an accurate and enlightening portrayal of the delicate interplay that exists between the various departments within Washington politics. As a seasoned journalist, Rosenstiel knows what truly motivates politicians and because of this inside information, he is able to expertly convey these tendencies to the reader. For those who pay attention to real-life political scandals, this novel offers a riveting description of what really happens behind those closed doors of Washington’s flawed and dysfunctional traditions. The Good Lie, much like its predecessor, Shining City, is an entertaining and suspenseful read that skillfully reconnoiters the world of power and corruption, secrets and ambition. Charley Davidson, Grim Reaper extraordinaire, is pissed. She’s been kicked off the earthly plain for eternity, which is the appropriate amount of time to make a person stark raving mad. But someone’s looking out for her, and she’s allowed to return after a mere 100 years in exile. Is it too much to hope for that not much has changed? Apparently it is. Bummer. She’s missed her daughter. She’s missed Reyes. She’s missed Cookie and Garrett and Uncle Bob. But now that she’s back on earth, it’s time to put to rest burning questions that need answers. What happened to her mother? How did she really die? 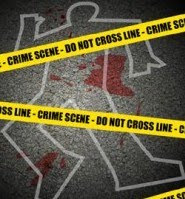 Who killed her? And are cupcakes or coffee the best medicine for a broken heart? It all comes to a head in an epic showdown between good and evil. 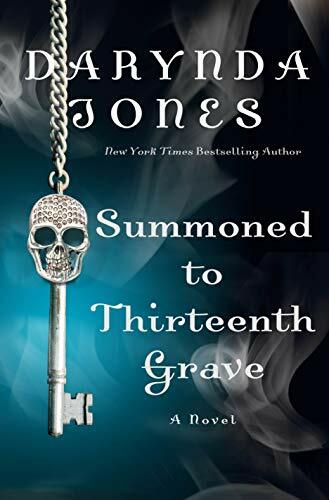 In Summoned to Thirteenth Grave, New York Times bestselling author Darynda Jones brings the beloved paranormal Charley Davidson series to a satisfyingly brilliant conclusion. The winner of numerous literary awards, Jones has penned over two dozen novels that includes the wildly successful YA Darklight trilogy series. How appropriate is it that this is the 13th and final installment. A brilliant and fitting ending to a wickedly adored series. It is choke full of everything a reader of the genre would want, humor, suspense, and most of all, the ultimate love story between Charley and Reyes. What is most impressive is how Jones balances wit, suspense, and sultry sexiness, while adding crazy new developments to the plot. She effortlessly manages to tie up the loose ends for the each of the main characters, which is a daunting task, but Jones does it easily and effectively. Charley Davidson and her snappy and often sarcastic sense of humor will be missed. Davidson is an amazing character augmented by a cast of extraordinarily engaging secondary characters. The entire series hasn’t been solely about resolving mysteries or fighting evil, it was about building bonds of friendship. These relationships are at the center of the series and this is the essential reason why these novels have been so successful. With a whimsical plot and is an astonishingly bitter sweet, yet satisfying conclusion, Summoned to Thirteenth Grave does not disappoint. Fans of this series will be delighted and while the number 13 is considered by some people to be unlucky, the only unfortunate ones will be those that don't pick up a copy of this book. Lars Petter Sveen was named one of Norway’s ten best authors under 35 and has won numerous literary awards. 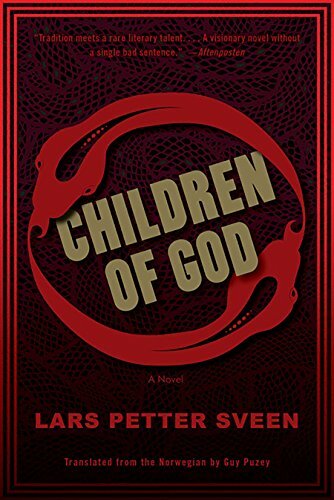 Children of God is his first book to be translated into English (Guy Puzey) and was first published in Norway where it won the Per Olov Enquist Literary Prize. Thought provoking and reflective, Children of God sheds light upon obscure stories and people of the bible who have been marginalized. It gives voice to those living on the peripheries of the New Testament such as thieves, Roman soldiers, prostitutes, lepers, healers, and the occasional disciple. Sveen delves into well-trodden territory but delivers a marvelously refreshing and unusual fictionalized literary interpretation that’s devoid of judgement or preaching. In 13 easy to read chapters Sveen explores such poignant story’s such as the detachment of Roman soldiers who question and hesitate to carry out King Herod’s decree to kill all the young male children of Bethlehem. Other accounts include a group of thieves who encounter no good Samaritans but themselves on the road to Jericho. While another follows a woman searching for her dead lover but cannot find comfort. At critical stages throughout each of these stories evil appears, urging each of the characters to give in to their shadowy impulses. The battle between good and evil is never ending and as each of these uniquely intertwined accounts unfolds, the moral and ethical dilemmas never fail to surprise. Children of God brings the stories of the New Testament into a fresh light by focusing on the importance of storytelling as it relates to religious interpretation in the 21st century. Sveen is convincing and conclusive as he reflects on the challenges of traditional religious beliefs as they pertain to the neverending fight between good and evil. A truly spellbinding and original read that captures the chaos and confusion, as well as the fear and uncertainty that followers of Jesus experienced. 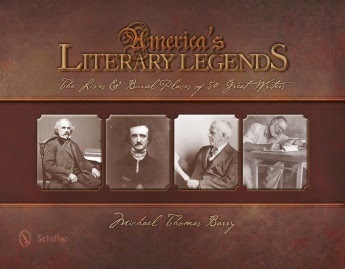 Michael Thomas Barry is a staff reviewer for the New York Journal of Books and the award winning author of eight nonfiction books. The five Dunbar brothers are living with their menagerie of pets in the perfect chaos of a house made by their own rules. Today, the father who walked out on them long ago walks back in. And so, the life of Clay, the quiet one with a harrowing secret, is about to change forever. He is the one who will build a bridge, for greatness, for his sins. A miracle and nothing less. 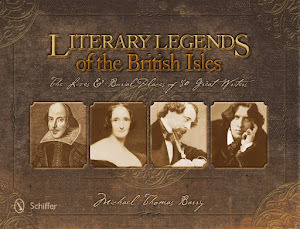 From a grandfather, whose parents’ passion for the ancient Greeks still lights up their lives, to a mother and father who fell in love over a mislaid piano, to the present day, where five sons laugh and fight and reckon with the adult word. Bridge of Clay is an extraordinarily brilliant but tragically poignant tale of family secrets and how one boy risks everything to save it all. New York Times bestselling author Markus Zusak makes his much-anticipated return with this powerful and deeply genuine story. He is the author of six novels including The Book Thief and I Am the Messenger. 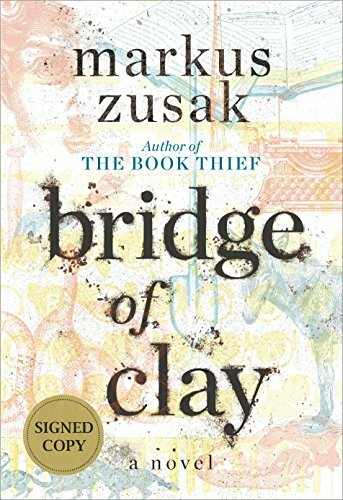 Bridge of Clay is an enormously ambitious undertaking and Zusak’s views about the power of love are refreshing and inspiring. A novel of contrasts, it shows a world that is both kind and loving but also cruel and hateful. The character development is intricate and extraordinary, allowing for a deep understanding of all that is possible within the realm of the human spirit—an animated and heartfelt journey that is filled with moving descriptions of family and loss and the quest for a miracle. 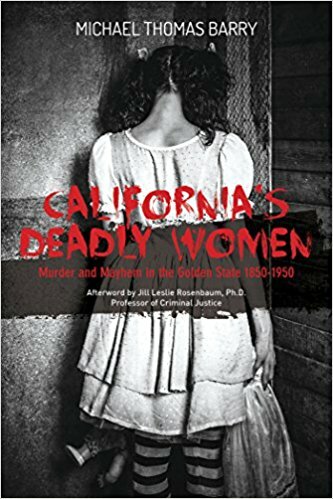 Be advised this novel is not an easy book to read and takes a tremendous amount of effort and stamina, but the completion is phenomenally rewarding. Interwoven with touches of romance and wit: it is obvious that Zusak was bound and determined to celebrate the quirks and idiosyncrasies of flawed people living in an imperfect world. Beautifully written and thought provoking, Bridge of Clay will tug at your heart strings; and at the essential core of the novel is the delightfully uplifting message that life tends to find a way to make things right in the end.